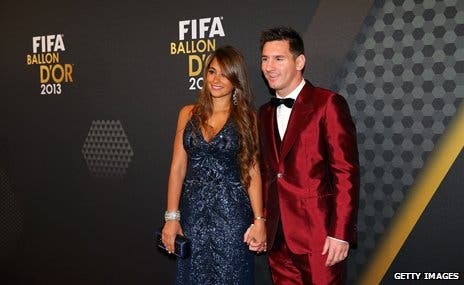 Barcelona star player Lionel Messi showed up Monday at the 2014 FIFA Ballon d’Or award ceremony in a shiny burgundy suit that immediately sparked debate on social media. Another user said compared the football sensation to flamboyant U.S. pop star Lady Gaga. “Messi is slowly turning into Lady Gaga with his outfit selection, he'll probably wear a suit made of foreskins at next year's awards,” @Aidrianoo wrote. Meanwhile, other users seemed to approve of Messi’s choice. 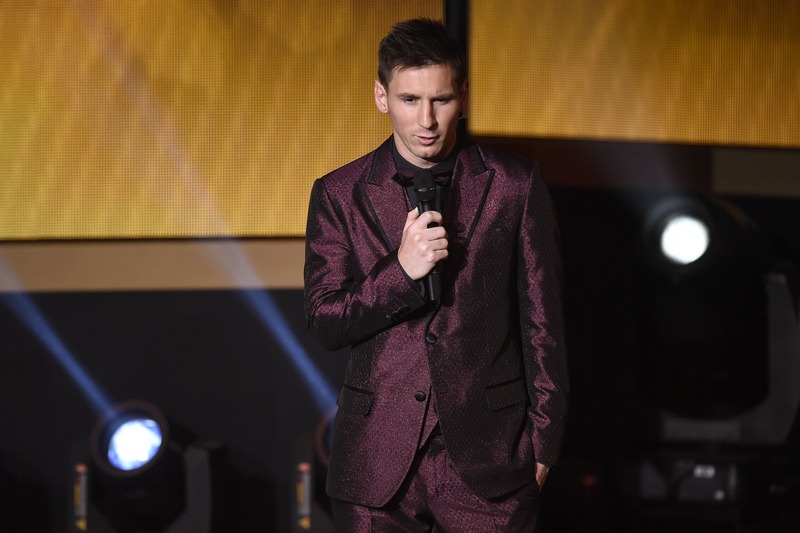 In recent years, the player had already made headlines for his eye-catching formal wear. 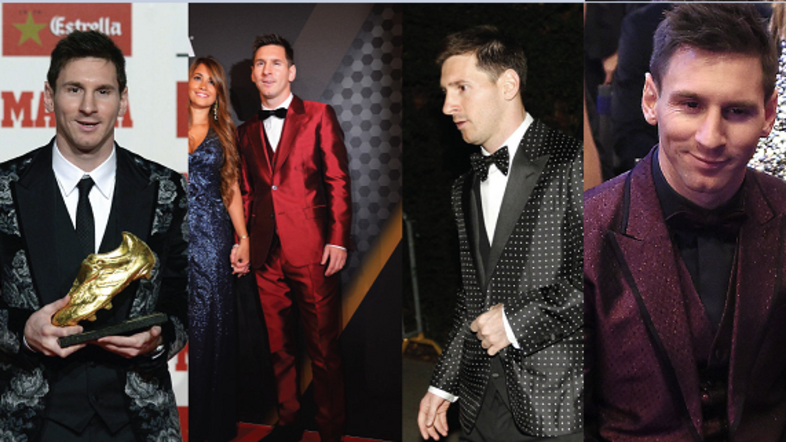 Last year, the 27-year-old football player drew attention for his dark-red glossy suit very similar to the one he wore this year. 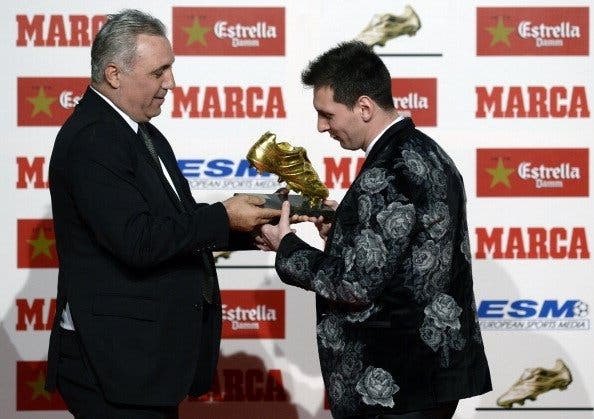 In 2013, Messi collected his Golden Boot for being Europe's top scorer in a jacket covered in a grayscale roses. 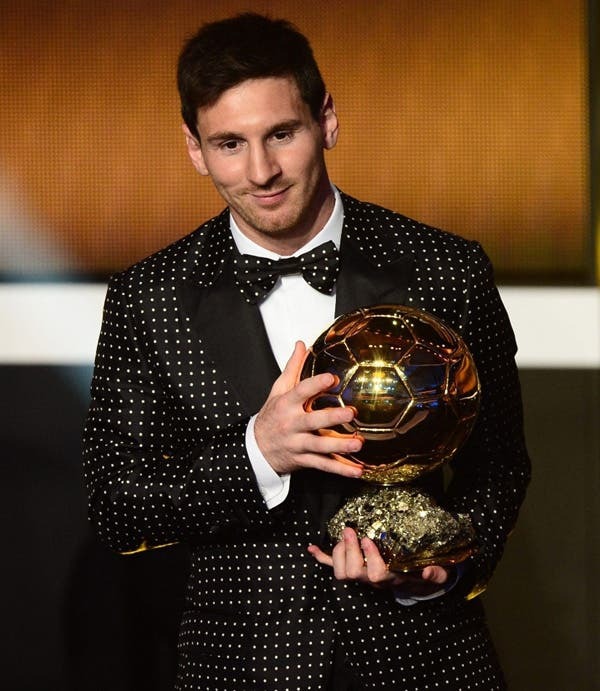 A few months earlier, the player had worn a polka dot tuxedo to the 2013 Ballon d'Or ceremony and a velvet jacket the year before.